Renovating your current bathroom can be both rewarding and challenging at the same time. With all the options available to you and with all the possible pitfalls, if you’re not careful, paradise could turn into disaster before you know it. This is why it’s important to employ careful strategy and planning into every step of design and construction. With the right company and expertise advice, you can be well on your way to making your vision turn into a reality. 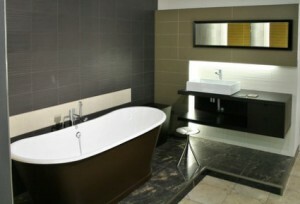 We at Baths by ZR work with clients every day in order to renovate the perfect bathroom. For years we’ve remodeled hundreds of bathrooms in residential homes all across South Jersey and the surrounding New Jersey. So we’ve compiled a few key tips on how you can make your next remodeling experience a positive and fulfilling one. One one question ultimately matters: What do you want your bathroom to look like? What is your game plan? What is your vision? Having the answers to all of these questions automatically puts you on the right track and helps insure that the finished product is exactly what you had in mind. If you have no idea what you want, then now is the time to find inspiration. There are numerous sources available to you: magazines, online sites, friend’s homes, expert remodeling companies, home decor retail outlets – the list goes on. With all the information available to you, it’s easier than ever to find the answers that will help you layout a bathroom design that suits your personal style and taste. Now that you have a vision, it’s time to do your homework. This step helps you to find pricing, research products, find a reputable remodeling company, list the pro and cons of different all options available to you including different types of flooring, countertops, paint, tile, shower and tub accessories, toilets, and all other items that will be included in your bathroom. What types of fixtures and faucets work best for your bathrooms? What other types of accessories will be you be needing? What’s the latest and the greatest gadgets? Although this step seems a bit overwhelming, getting over this hurdle will make all the other steps much easier. No homeowner is an island. An investment in professional consultation might save you hundreds of dollars in unneeded expense and wasted ideas down the road. A professional remodeling company that is certified, experienced, and has a good reputation is the way to go. This type of consultation comes from years of seasoned experienced that has been tested in the field. A professional consultant can answer questions that you didn’t even think to ask. They can help you avoid all the possible pitfalls and ‘crash’n’burns’ that are waiting around the corner. When you are ready to move forward with your next bathroom remodeling project, then contact Baths by ZR. We have built a reputation as leaders in the home remodeling industry. With years of practical, hands-on experience, we can help you navigate that bathroom renovation, so that you end up with a finished product that you’ll be satisfied with for years to come. If you are looking for a South Jersey Bathroom Design Contractor then please call 856-302-1007 or complete our online request form.